NEWS TALK 780 KOH, WESTWOOD ONE AND THE DAILY WIRE BRING THE LEADING VOICE FOR CONSERVATIVE MILLENNIALS IN AMERICA TO RADIO! The Ben Shapiro Show connects listeners with the news they need to know in the fastest-moving daily program in America. A voice for conservative millennials, Shapiro covers America’s most powerful political personalities, brutally breaks down the culture, and never gives an inch! With a loyal podcast following of 15 million downloads each month, Shapiro’s influence is skyrocketing. He’s here to persuade, mobilize, and motivate! 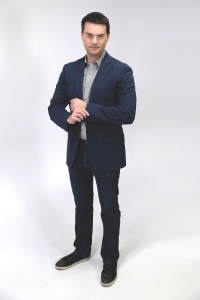 Hear The Ben Shapiro Show on News Talk 780 KOH weekdays from 3:00 – 5:00 p.m.
PLUS a three-hour weekly Encore Ben Shapiro airs every Saturday from 4:00 – 7:00 p.m.